1Time Airlines is based in Johannesburg, South Africa, at O.R. Tambo InternationalAirport. 1time operates flights from Johannesburg O.R. Tambo International Airport to the following towns. 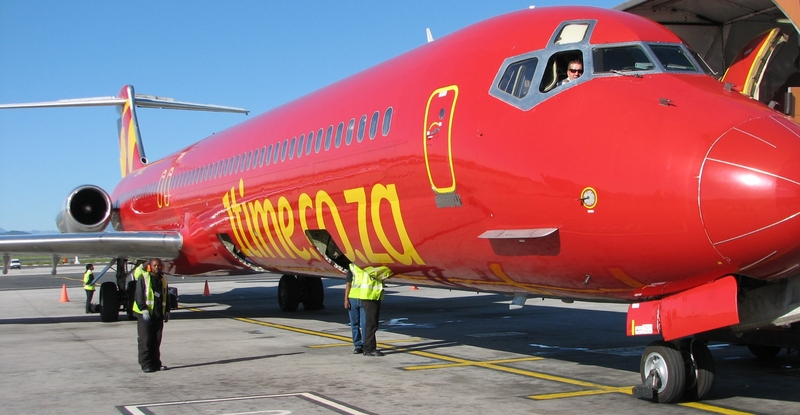 From 5 March 2012 1time operates flights from Johannesburg Lanseria to Cape Town & Durban. 1time operates flights from the following places to Johannesburg O.R. Tambo International Airport (JNB). From 5 March 2012 1time operates flights from Cape Town and Durban to Johannesburg's Lanseria Airport. 1time Airline's check-in at Johannesburg O.R. Tambo International Airport is on the top floor of the domestic departures building (same place as all the other airlines). Here is the latest 1time flight special. Note that unless you book flight specials as soon as they come out, there probably wont be any seats left. 1time Holdings is situated at 21 Donovan Rd, Glen Austin AH, Midrand, Johannesburg, Gauteng 1685, South Africa. You can contact them by phone +27-11-928-8000 or emailing info@1timeholdings.co.za. Not only is 1time Airline based in Johannesburg, but it is also a listed company on the Johannesburg Stock Exchange, forming part of the AltX index. 1time airline placed this car at Johannesburg Airport (OR Tambo). 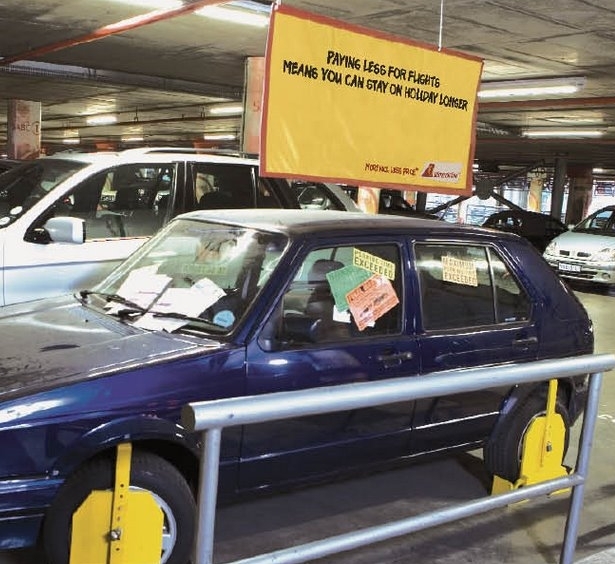 The car was covered in parking tickets and had its wheels clamped, to illustrate the fact that 1time airline charges so little for flying that you can afford to stay on holiday longer.